horrible photo, no light not a great lens for this but it was 5:47 exactly and Lily was trying to convince the cat how much she loved her. for the worldwide minute event on fb. 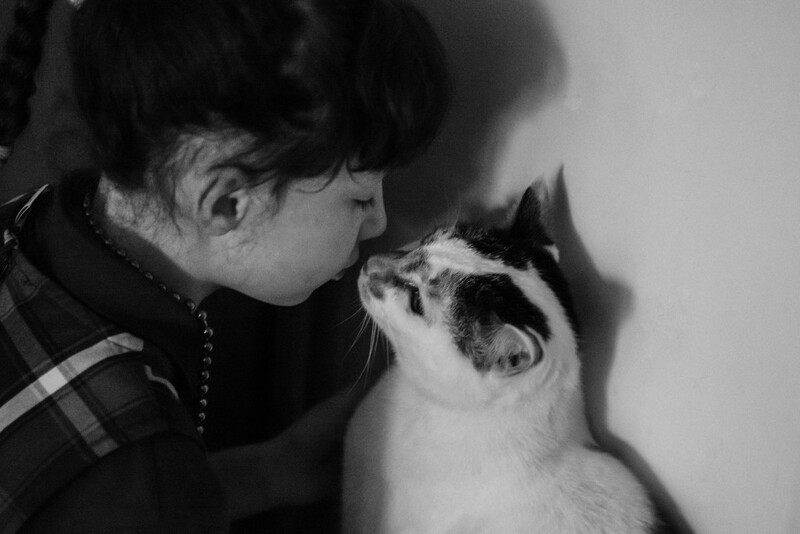 I think Lily and the cat BOTH did great at convincing us, the viewer, that they love each other. Thanks for participating in World Wide Minute 2019! Very cute. I forgot about the World Wide Minute completely. So cute. Makes a nice WWM shot.